Finally I got the first Boot on ARMADA! What are the names of all PCB pins? I did not understand some things like 4 pins for TDA amp. I also do not understand where are the image files of the boot without SD card, where is that photo of the weapons with black background? Thank you, I am very pleased to see progress again. Cartoons are stored in the controller's memory, although the ARMad can display BMP from SD card images. I got carried away by radio modules - unresolved problems do not give rest, and the compilation of documentation seems a boring routine. I will make a description necessarily. I hope I did not mess things up. At the person it turned out to flash Armada through USB <-> UART adapter. Later I will give details. 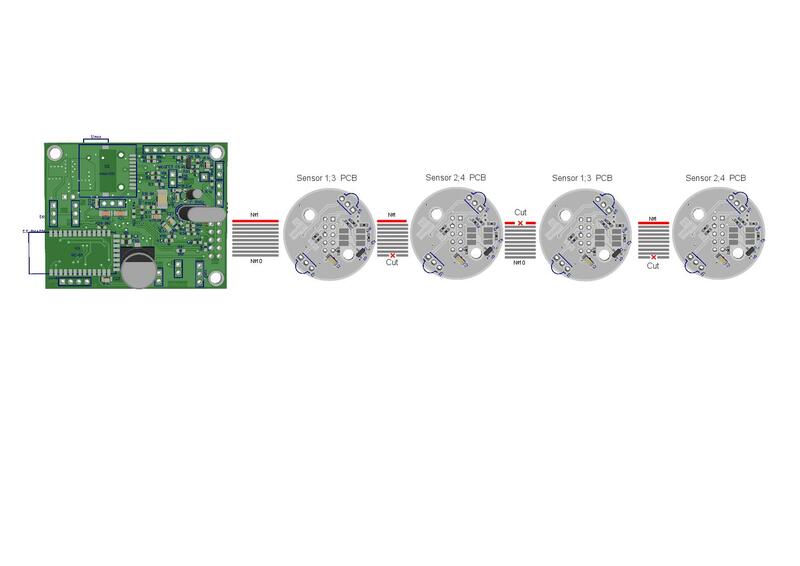 1 - Why Bluetooth GND is not common with PCB GND? 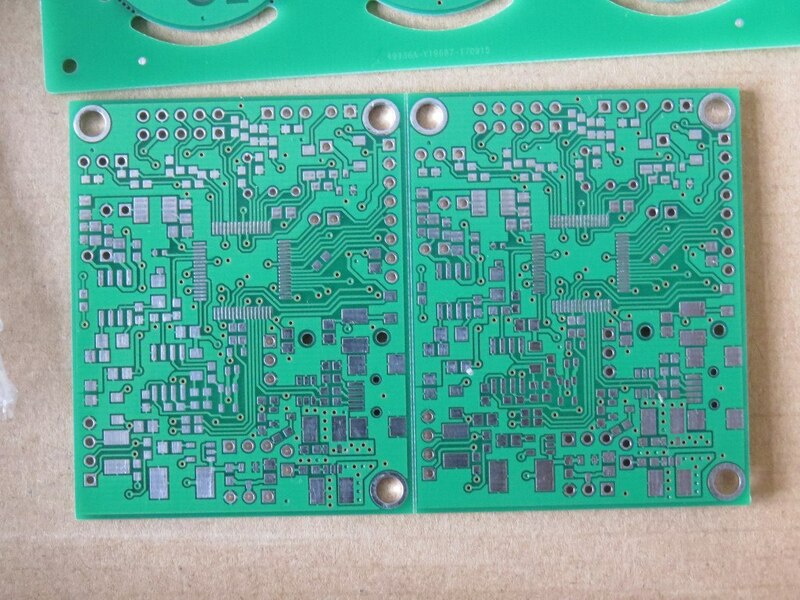 2 - Is the supply of TDA separate from the rest of the PCB? Need another battery? 3 - Why not use TDA in Bridge mode to increase volume? 4 - What is the main firmware file inside Coocox for me to configure if the PCB is Bandana or Gun? Where? 5 - How I setup the clock? Finaly I solder the clock`s battery. 1 - The GND is separate, so that there is no high-frequency interference. They are connected by a ferrite bead (or a 0 Ohm resistor) at one point. I came to the conclusion that under the bluetooth GND is not needed at all. 2 -NO! The same as with the bluetooth.The GND is separate, so that there is no high-frequency interference. Power to the amplifier can be fed through a 0 Ohm resistor on the board, or from an external battery through the connector (then you can not set the resistor! Destroy the electronics)! The fact is that the amplifier can be powered by voltage up to 12-15 volts. If we need a very loud sound - we have an option in stock. 3 - They already work in bridge mode, in my opinion. On 4 ohms and 3 watt speakers, the sound is very loud. There is a resistor to adjust the volume hardware. 4 - In the repository. Source codes are the same for the bandage, and for the tag. All the parameters of the firmware assembly are determined through macros. 5-Turn off the devices, hold the trigger and keep it pressed to turn on the power - you will fall into the settings menu. There is a clock and calendar setting. Many steps forward with your last tips. One more strange thing is happening here... When I attach the SD card, the PCB hangs. The clock stops counting and the heart stops beating. Card information is normal and readable, BT settings, number of ammunition, etc. Everything is read and understood by the PCB, but when it finishes reading it hangs. What is the file system on the SD card? The maximum volume of the disc in FAT32 is 4 Gb. If you have a larger card, you can format it in FAT32 (4GB). The fact that Windows correctly sees the files on the card does not say anything - the operating system works with the card at the sector level. In firmware, the driver understands only FAT32. No, I did not say that the windows that read the card, was the PCB. It reads the card and understands the settings of Bluetooth, Password, Ammo, etc., but after reading and starting it hangs. For some reason the buttons are strange too, Reload and Trigger are triggered randomly. Give me the source with your settings and a binary file. The settings for bluetooth and everything else should happen when there is no system.bin file on the card - in this file all settings are stored in a binary form. After power on, if it is not - the settings are read from the armada.ini file and written to the file sistem.bin. If there is no connection on the bluetooth with the bandage and the firmware is compiled for the weapon - two guns should be displayed on the screen. There should be no reaction to pressing the buttons. Most likely - it's just my defect in the firmware. If it's not difficult - capture the process on the video. Do you enable 4 sensor zones? I received a parcel from EasyEda. 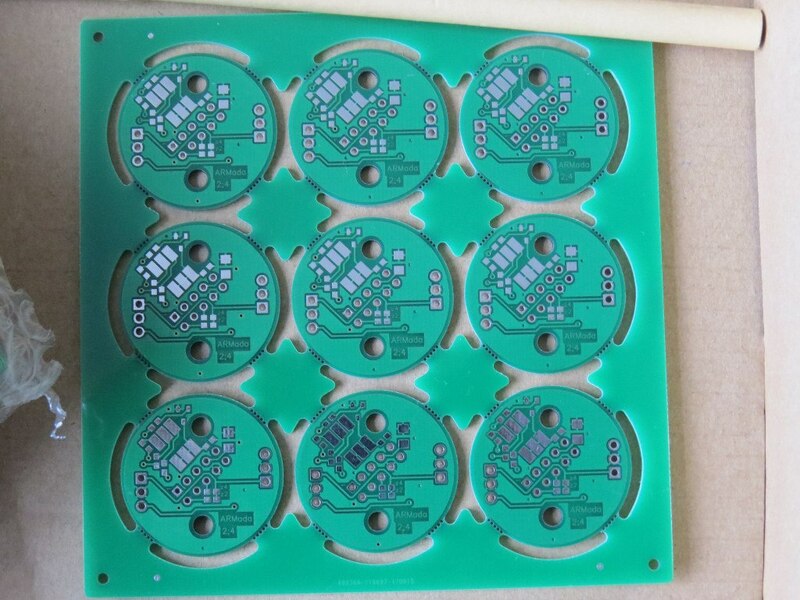 90 pieces Sensor 1;3 PCBs. 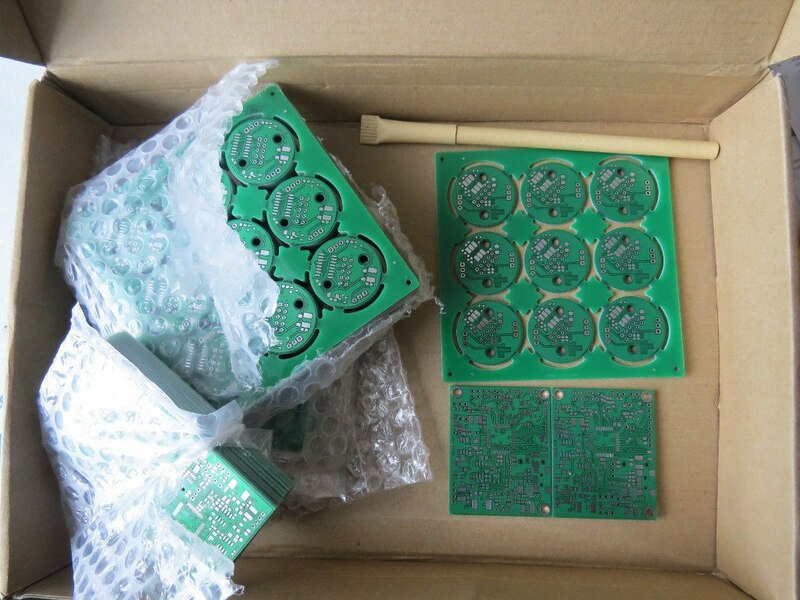 90 pieces Sensor 2;4 PCBs. For all $41.7 (including delivery).